An endotracheal tube which is usually attached to the aspirator. 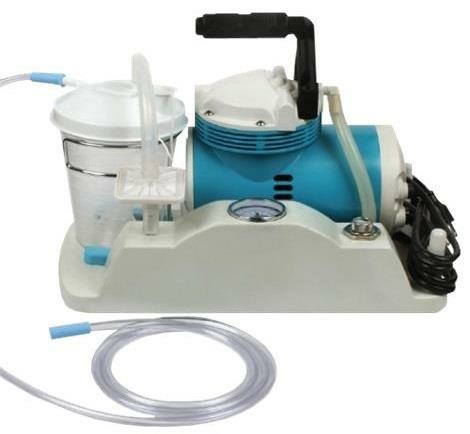 Tracheal suction machines are mostly portable and are battery powered. The basic vacuum level is from 80 mm Hg to 120 mm Hg which is maintained to reduce the risk of trauma. They are used to remove secretions and to maintain the airway of a patient; they are mainly used when suction from a central vacuum system is not available or is inappropriate. The Allied Schuco S330 Aspirators has durable metal canister brackets which accommodate a variety of collection containers. Every unit is equipped with a hospital-grade plug and it has high vacuum range for various suction needs - up to 560mmHg (22 inches Hg). 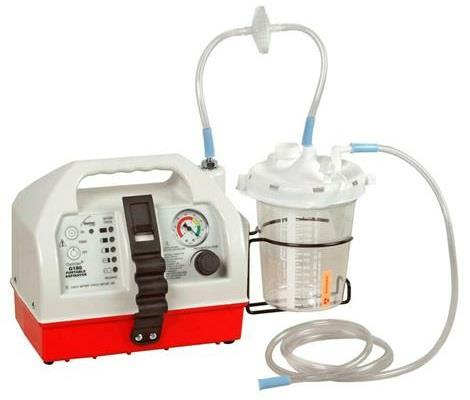 Next, the Allied OptiVac Portable Suction Unit features compact design, ease of operation, rechargeable battery, AC power supply and fully-enclosed unit. It is a sealed water-resistant unit which is easy to clean and minimizes potential contamination or damage to the compressor and battery. 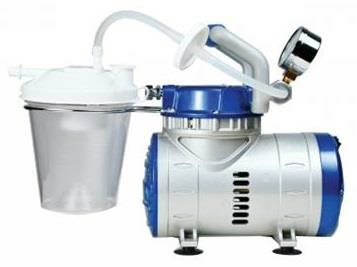 The long-life internal rechargeable battery of this medical suction machine eliminates the need for frequent replacement. 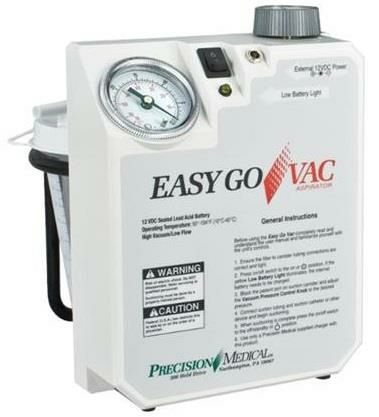 The Precision Medical Easy Go Vac Aspirator is a high-performance battery operated suction unit that delivers a vacuum range of two-to-21inHg. The standard easy-to-read gauge allows the caregiver to adjust the vacuum. The ABS plastic cabinet is durable, attractive, easy-to-clean and infection control friendly. A dual pump protection system features two safeguards. Last but not the least, the Graham-Field Vacutec 800 EV2 Aspirator is designed for a single patient, everyday use. It has a low-level noise at less than 55 decibels. Comes with easy to read gauge, easy to turn flow regulator knob and with a suction cup feet for stable operation.